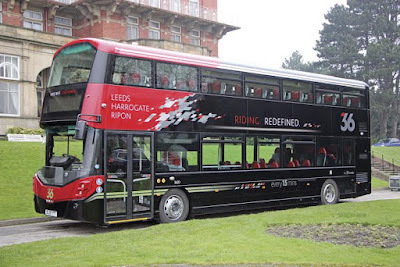 Never has a bus brand been so well recognised or received as the Transdev 36, and now, the iconic Yorkshire brand is about to undertake an overhaul that the company believes will see it become 'the finest bus route in the country'. 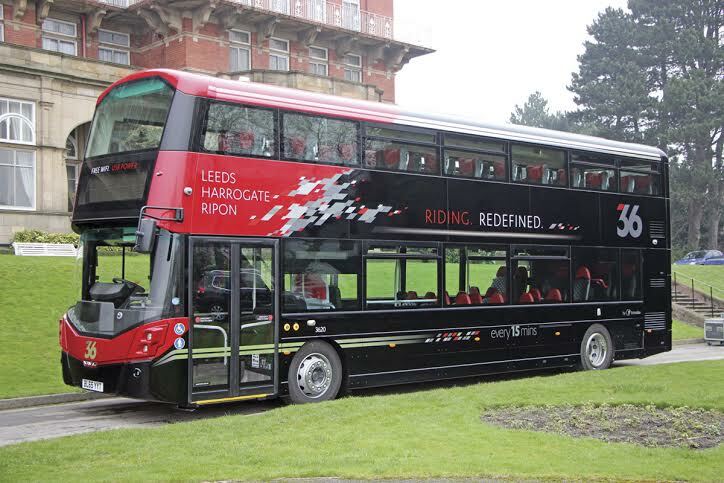 They are investing £3.3m in 14 new buses, which have been designed specifically for customers that travel between Ripon, Harrogate and Leeds. 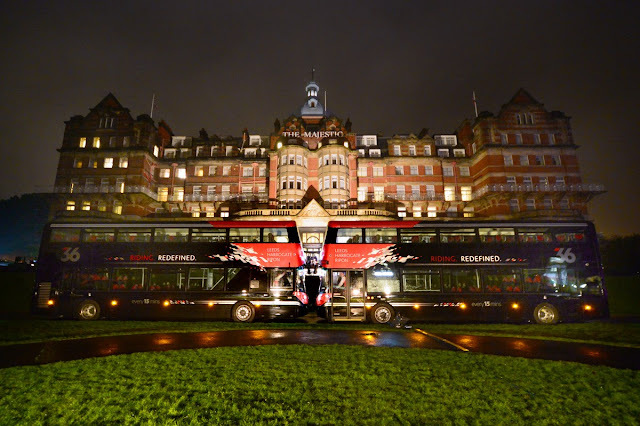 The bespoke vehicles have been designed to give passengers the ultimate journey experience, boasting quilted leather seats, free superfast wifi, USB power points at every seat, Library 36, at seat tables and a glazed panoramic roof for 'star gazing'. 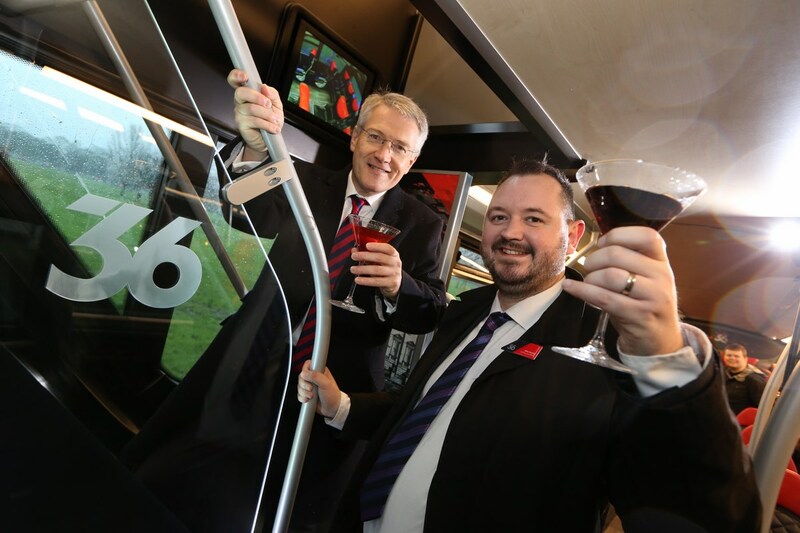 Transdev are already achieving over 95% customer satisfaction on the 36 and now the service is going to be 'redefined' as they strive to raise the bar even higher. Alex Hornby, Transdev Chief Executive, said: “The 36 is a very special brand and one we're extremely proud of. It really was a pioneer in bus travel back in 2003 when it launched the UK's first leather seated twin-deck buses. It set the ultimate standard in local bus travel and we're so excited to be trailblazing once more with these amazing top of the range vehicles. We examined every detail of the journey experience, and we know our customers love to have their own space. So we've done just that, offering more leg room, sumptuous seats, work-stations and the technology to be connected on the move. We've also teamed up with Harrogate International Festivals to introduce a unique Library 36 on each bus. Our customers told us they liked to swap books on board, so we thought it was a great opportunity to create a mobile library with a difference! The new buses went into service on the 24 January 2016, they run up to every 15 minutes between Ripon, Harrogate and Leeds, 7 days a week.